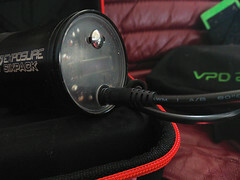 I have used it for few months. 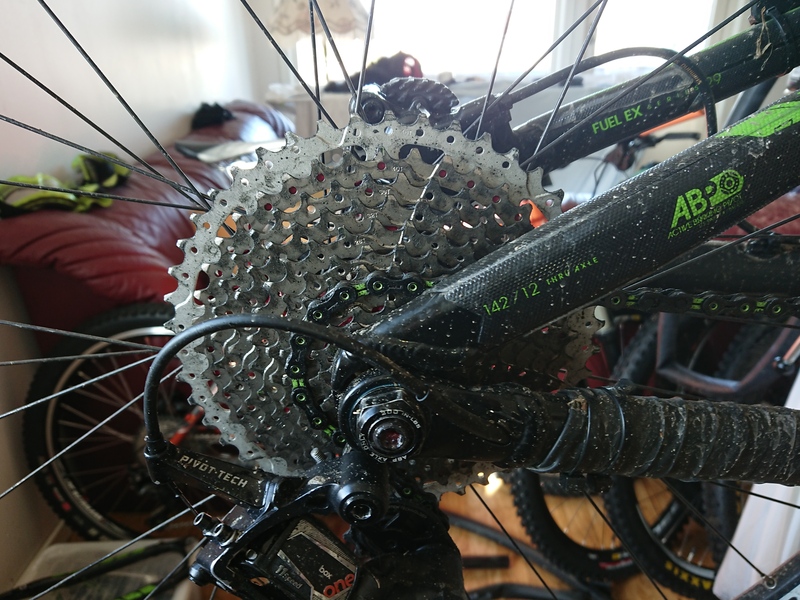 I haven’t had a very hard impact on the bash guard yet, but I had one light scrub, which barely gave a mark, but once I get a big impact I will update you on this. 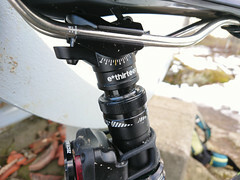 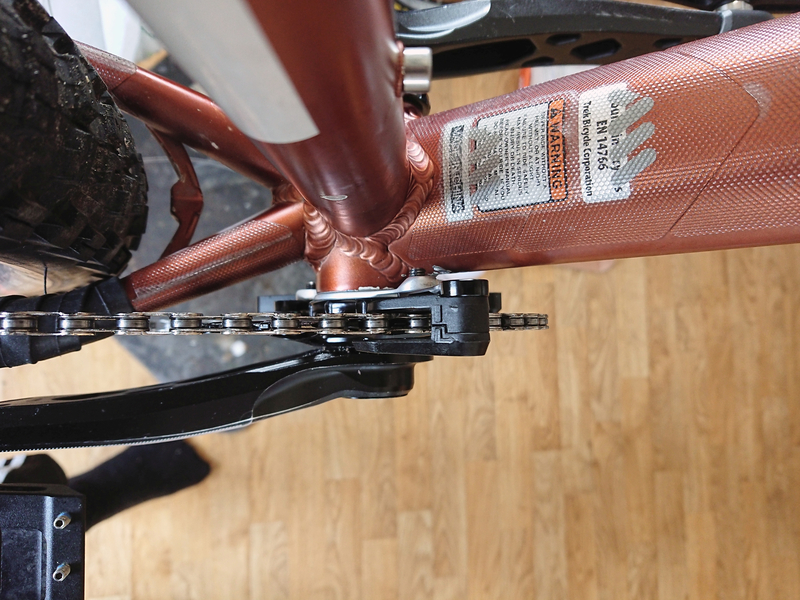 The bash guard is mounted with two Torx screws to into the plate, which makes assembly and disassembly is very easy & fast, there is no need for two Torx screws like with MRP AMGv2, but the only bad thing about this is if you ruin the threads, you cna’t just swap bolts, but it keeps the weight down. 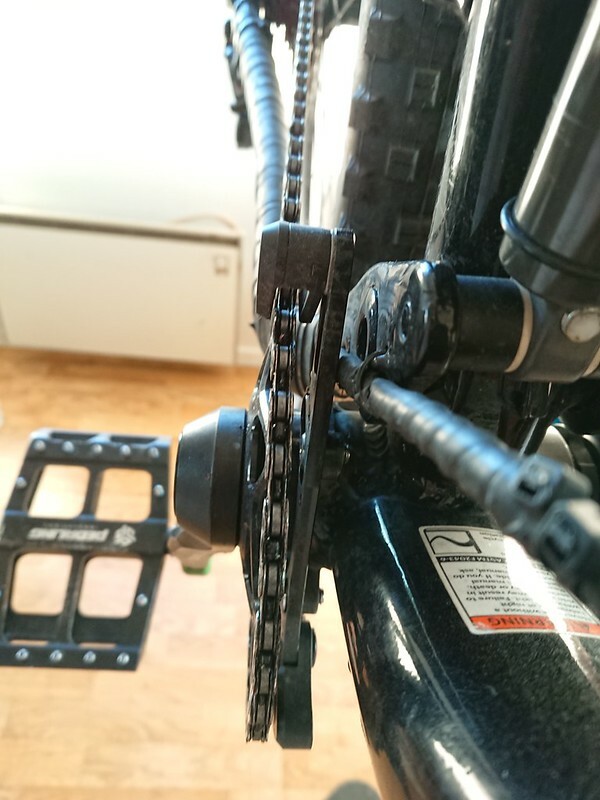 Doesn’t clog up with mud, 77designs designed a great chain guide, it does the job well, without any unnecessary bulk or material, mud will travel through the big hole. 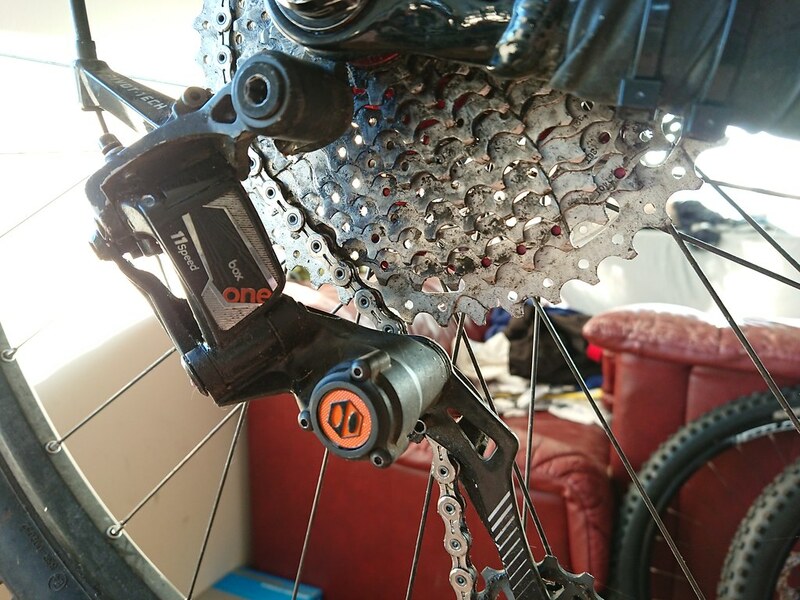 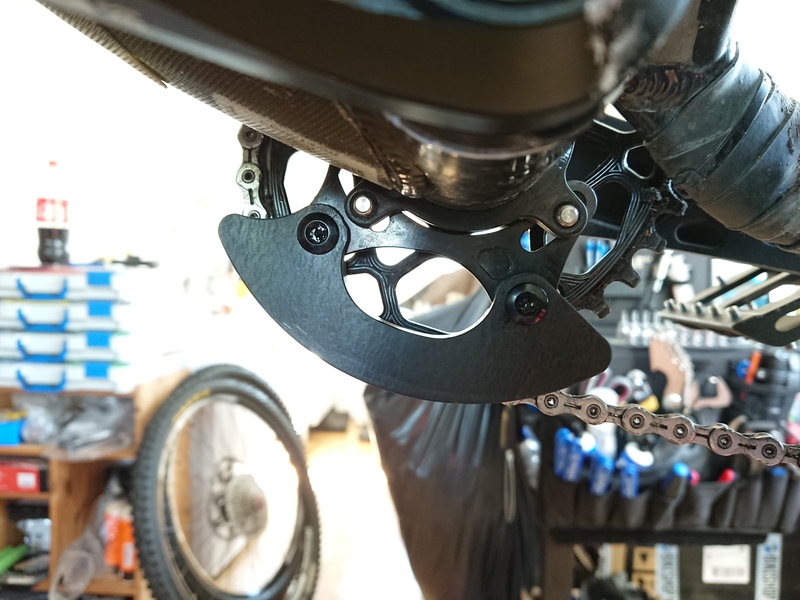 easy to take the chain off, due to the simple and great design of the guide, you just undo the bolt little bit and swing the front guide, with Loctite 243 and proper torque it will stay on securely. 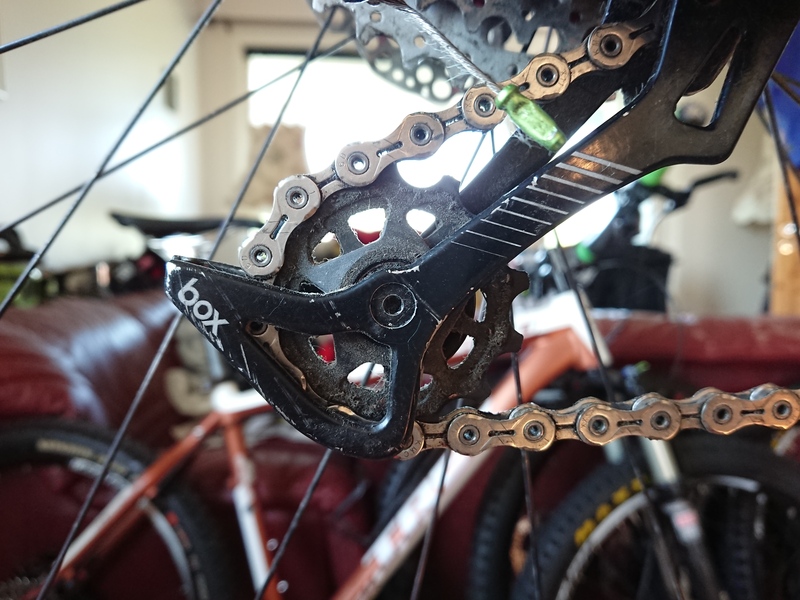 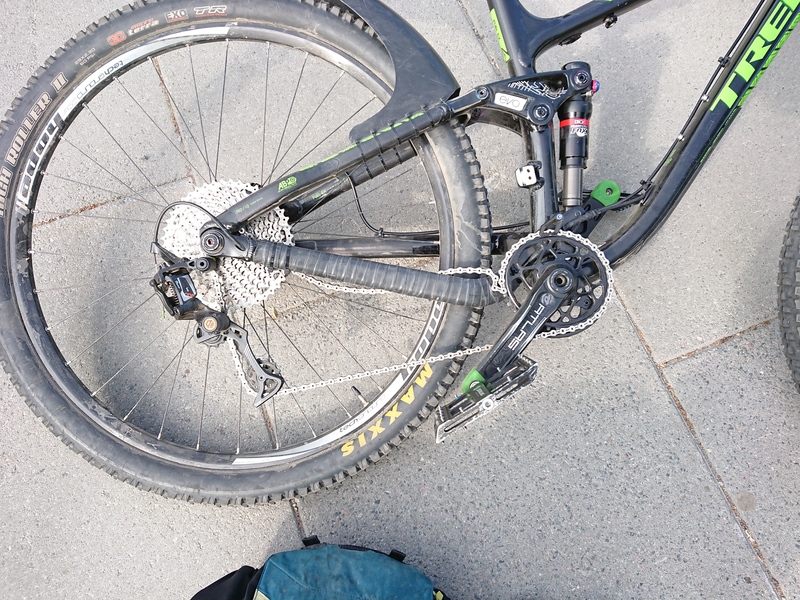 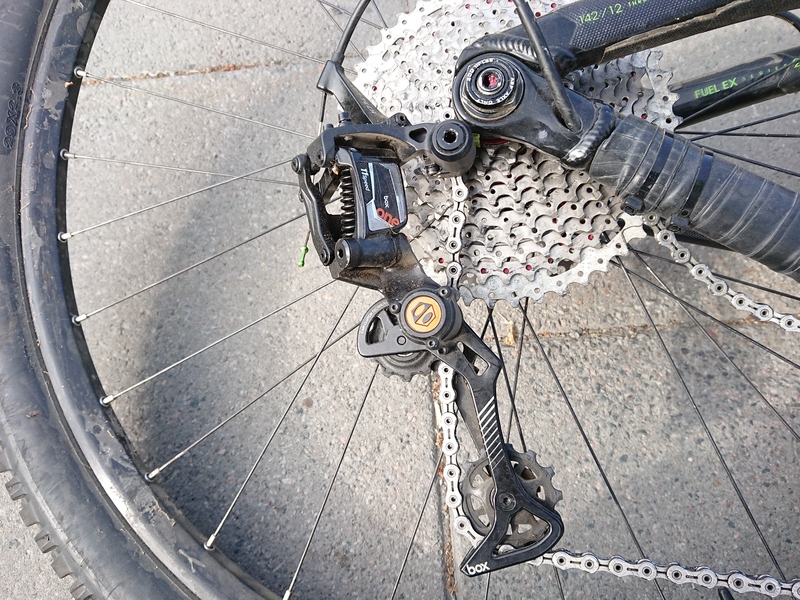 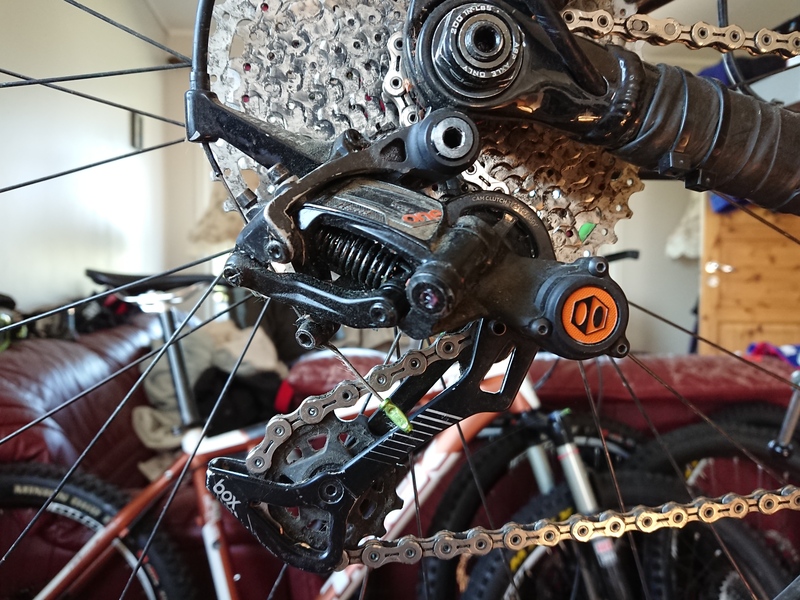 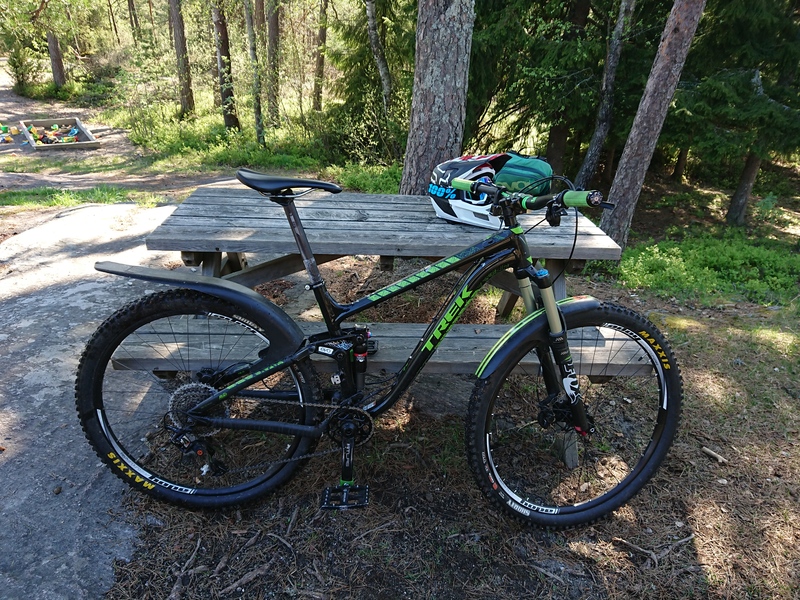 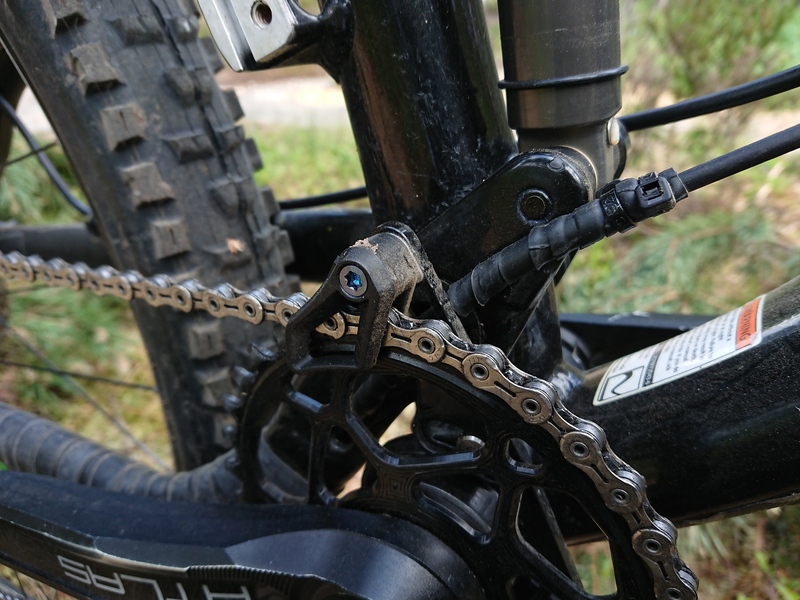 the chain guide from 77 Designz seems to be good, with keeping the chain in place, I tested how well the chain will stay on by forcing it off the chainring, the plastic pushed it back on, so I think the chain will be very secure on the trail no matter how fast or hard you ride. 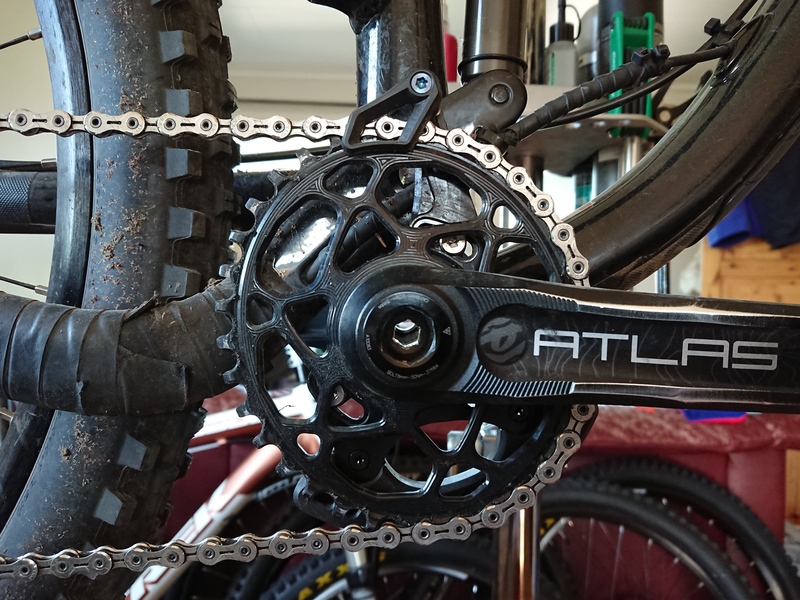 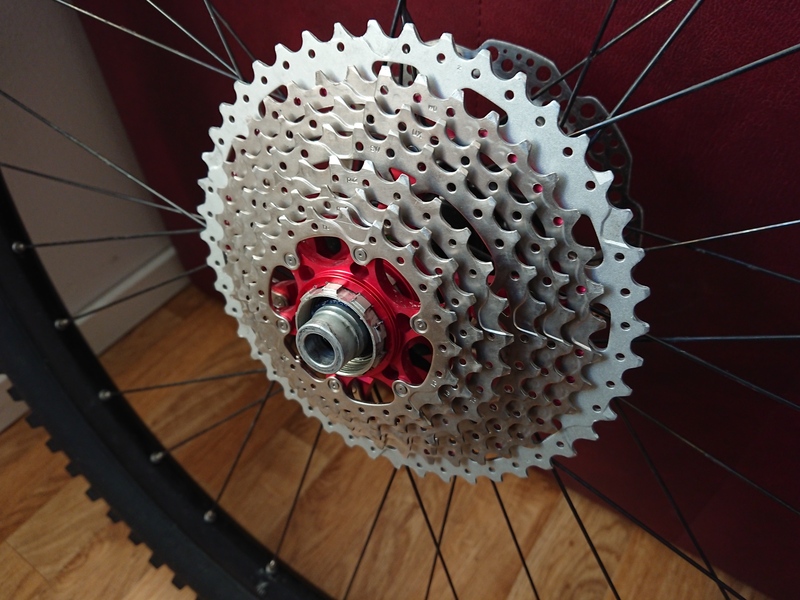 I think it does a better job than MRP AMG v2, which is not really made for oval chainrings. 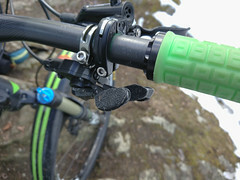 bash guard could be few millimetres longer, to protect against very uneven stone edges. 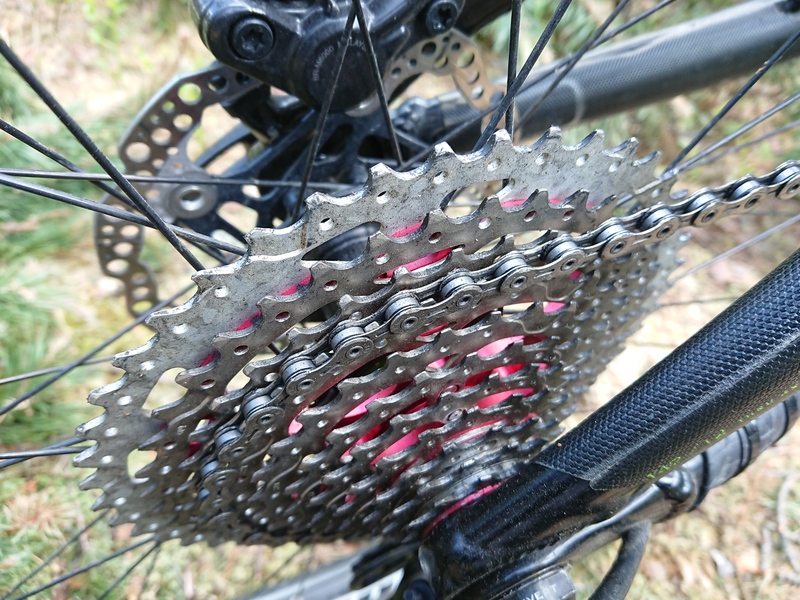 After testing Muc Off dry lube in dry & very dry conditions, here are the results. 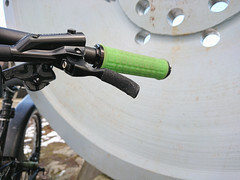 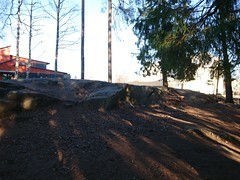 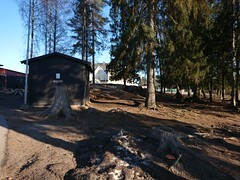 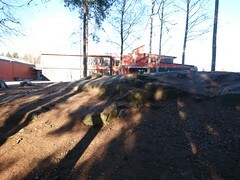 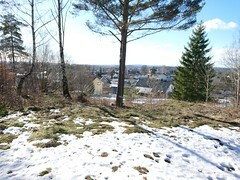 every time I rode with it it gave the same results, I only used it in dry conditions. 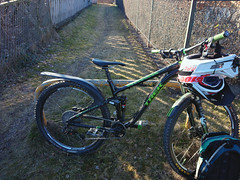 but I could not test it for a long time, because I ran out of lube, I have used the lube in the past with the same results, but I did write a review on it until now. 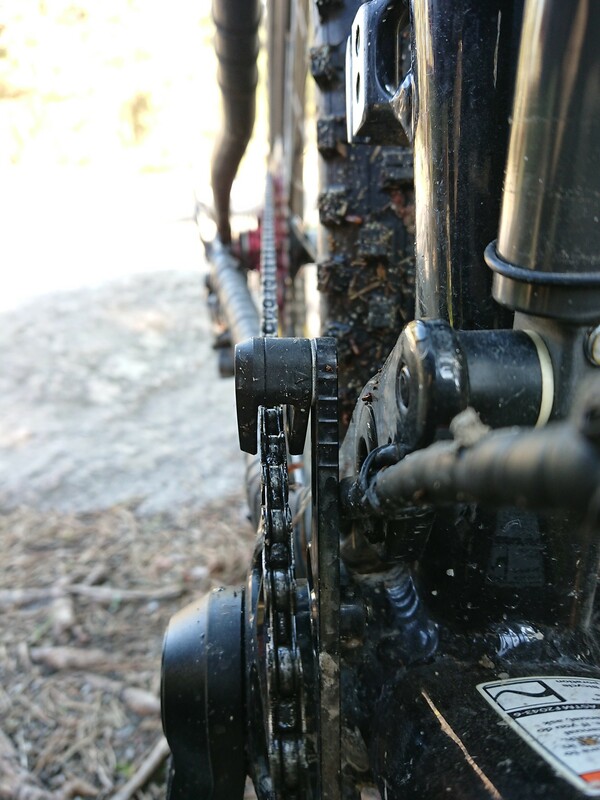 the cassette & chain was far from clean. 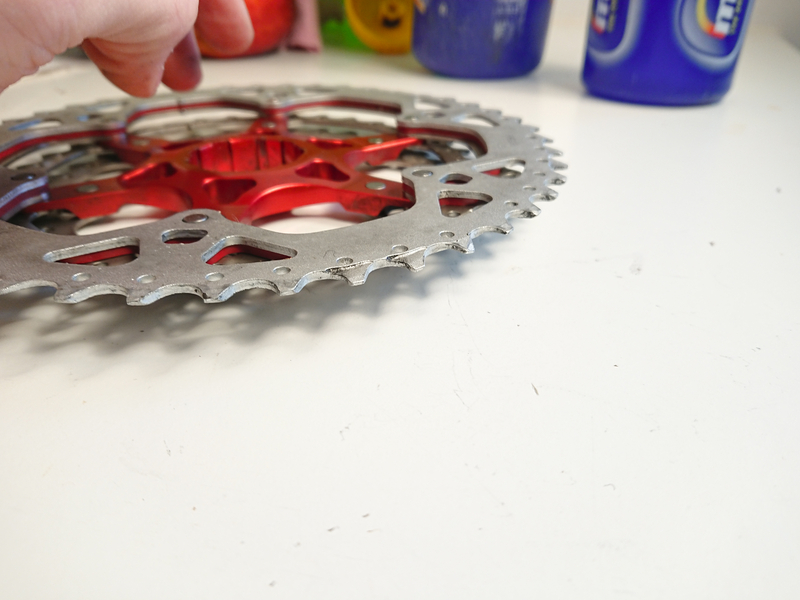 The guide pulley collected a lot of gunk. 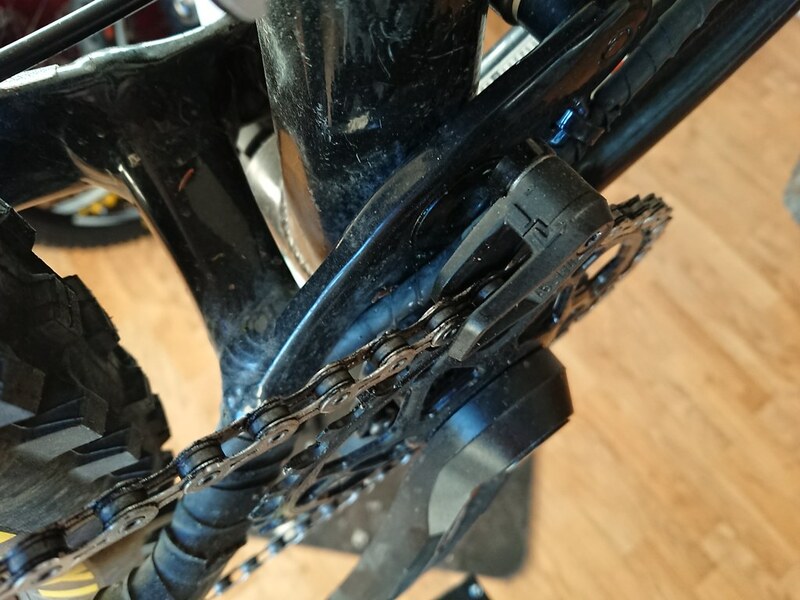 I could not compare & test the durability & longevity of the cassettes in a accurate & scientific way, but here is my experience with it so far. 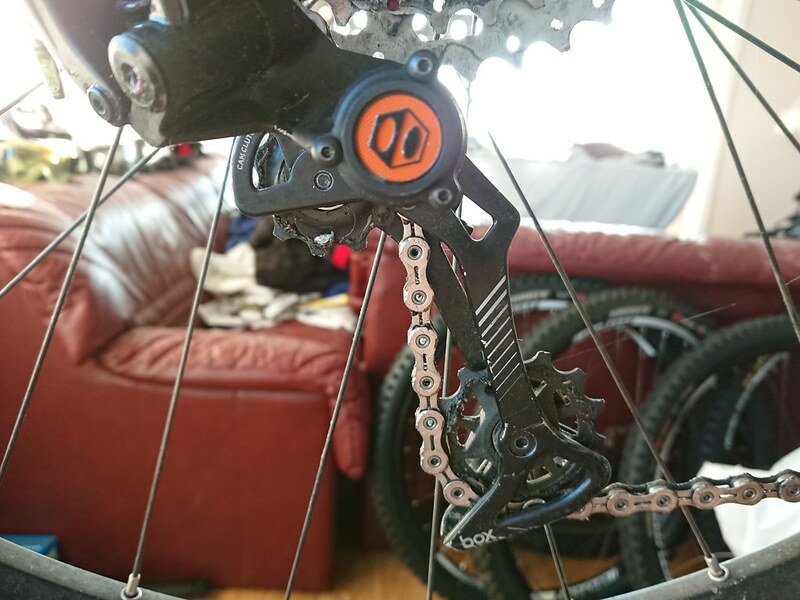 I have been swapping between 3 wheel sets, and various time of use, only way to accurately test it is a machine with exact same abuse. 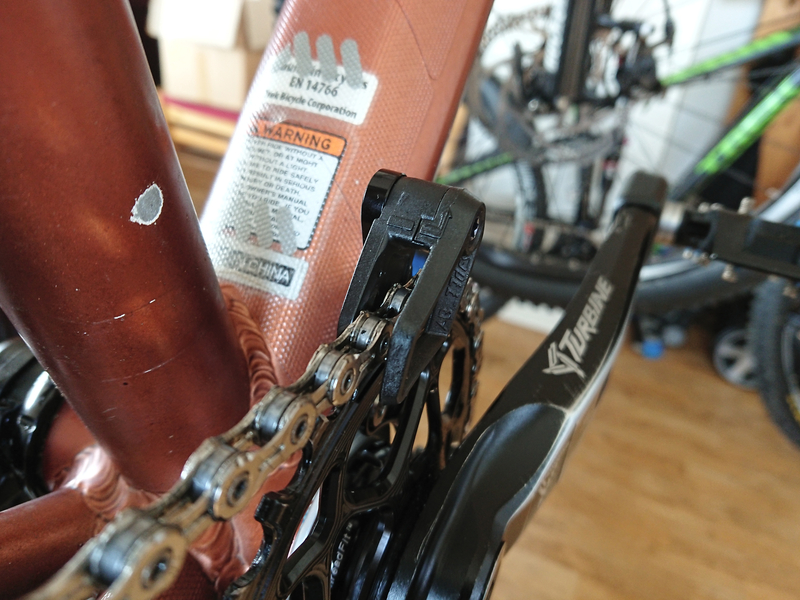 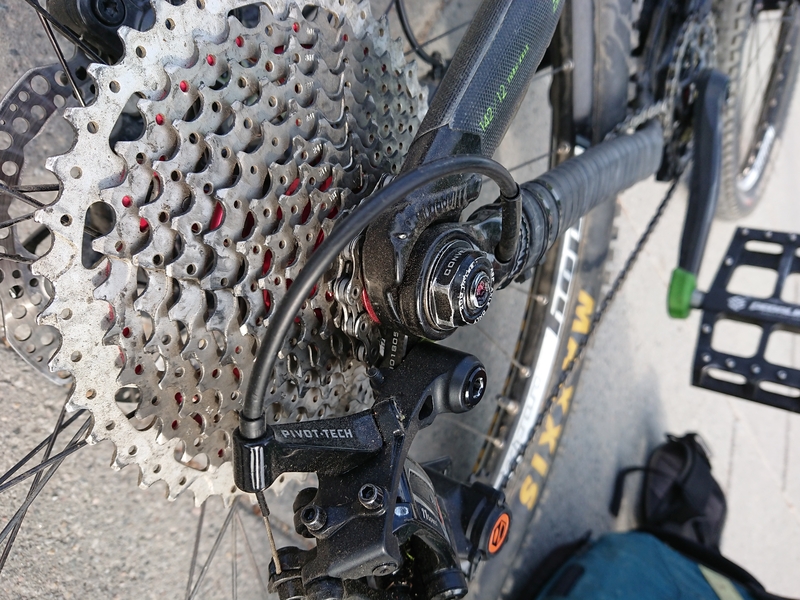 the Sun Race Cassette is more flexible, but also more resistant to ”permanent” bends. 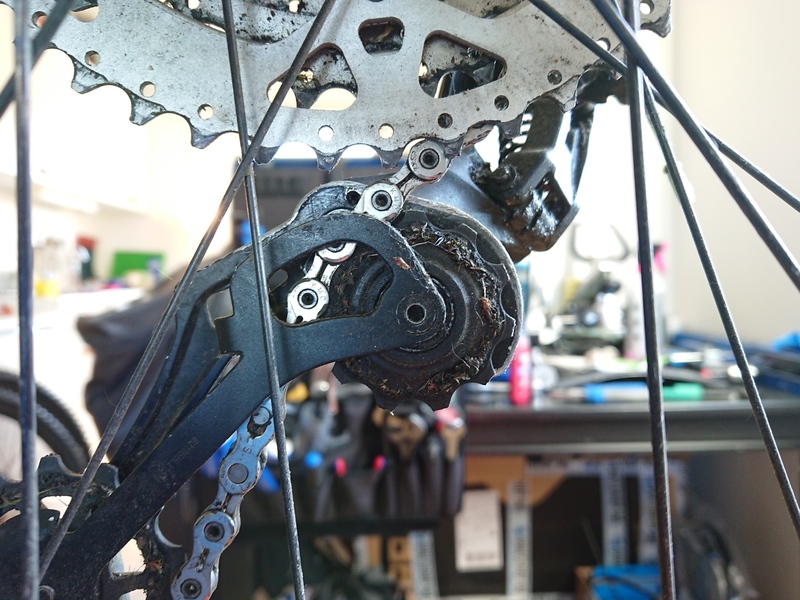 I have 3 wheel sets I rotate, when one needs a service or something is wrong I can just swap, so I haven’t used the cassettes 100% equally amount of time. 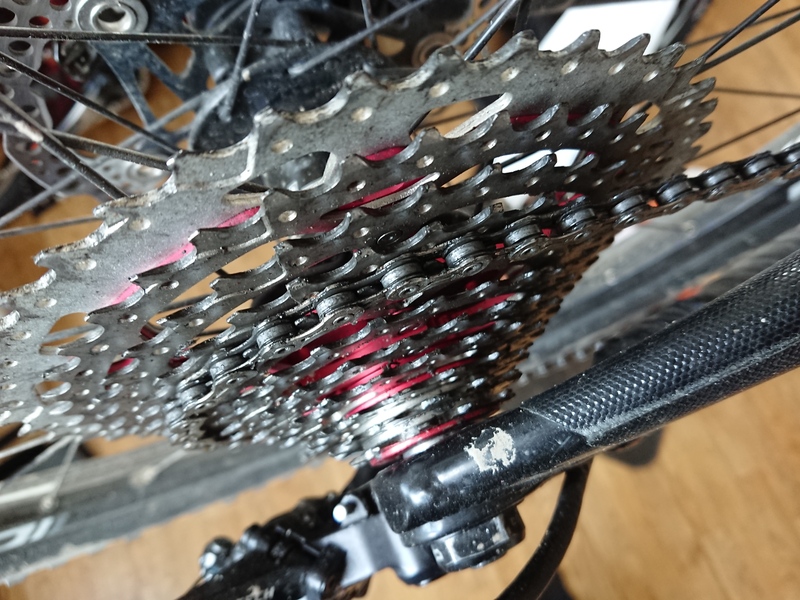 I am not sure if the flex in the FuelEx’s that did this or if its the cassette’s fault. 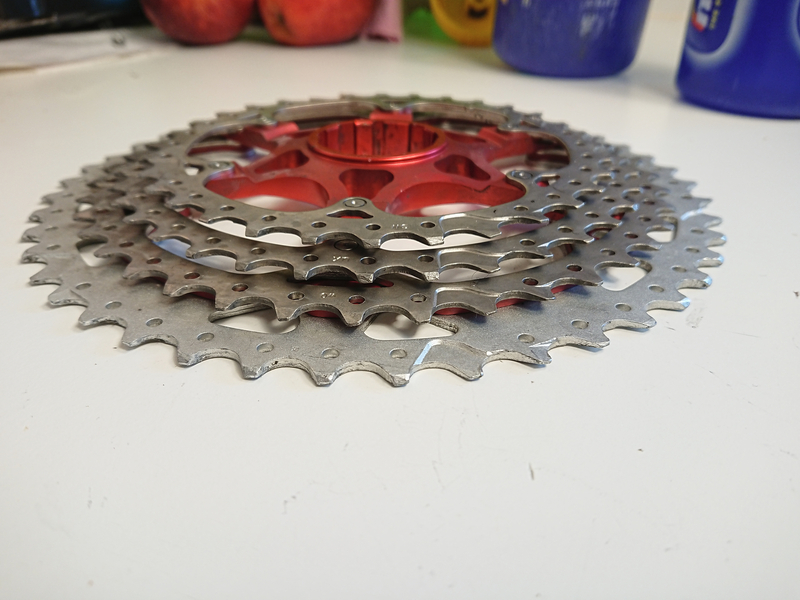 it was more resistant to blends but is more flexible than XT cassette. 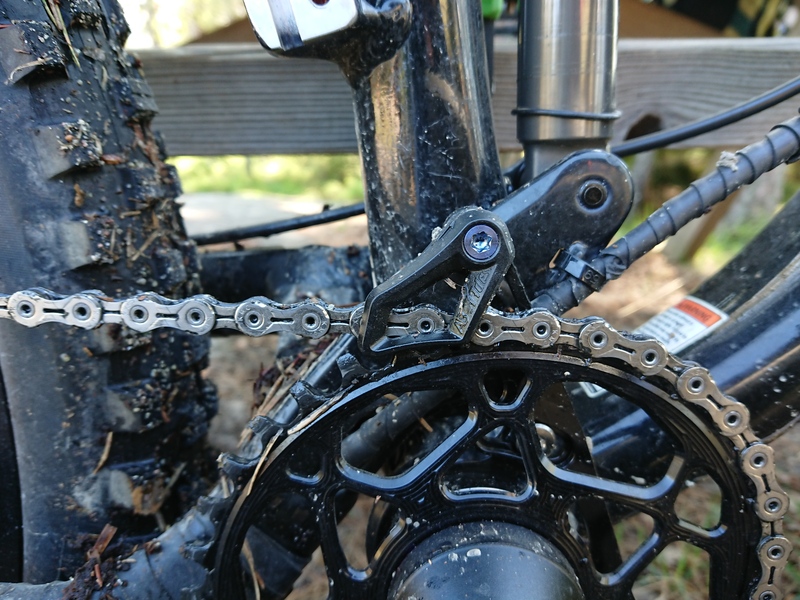 I have of course regurally chainged the chain when it got to 0.40mm stretch. 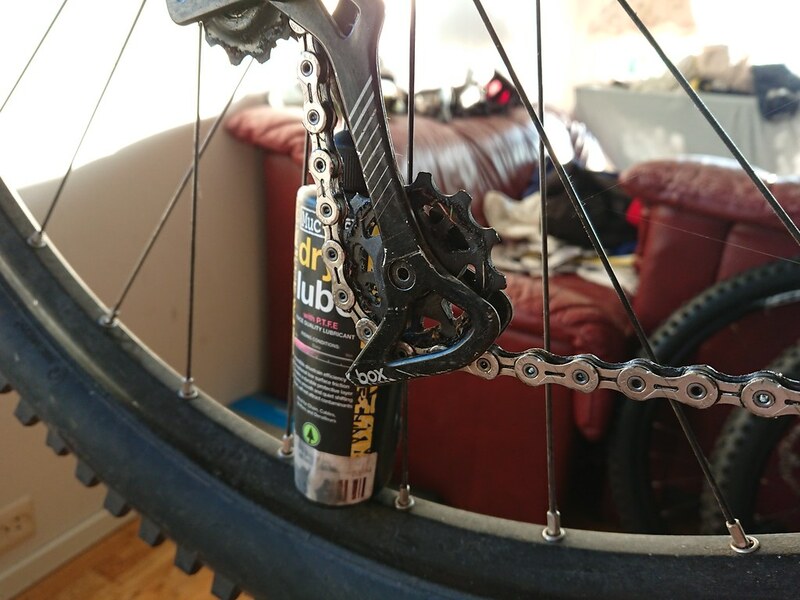 and lube the chain well, an done every htign correctly. 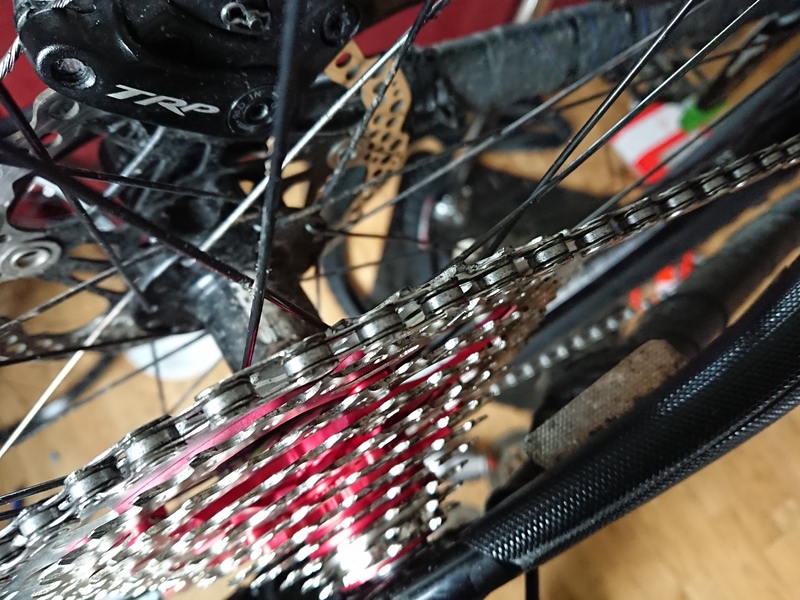 I worn out 2 of the tree cassettes, and June 2018 I worn out the last one. 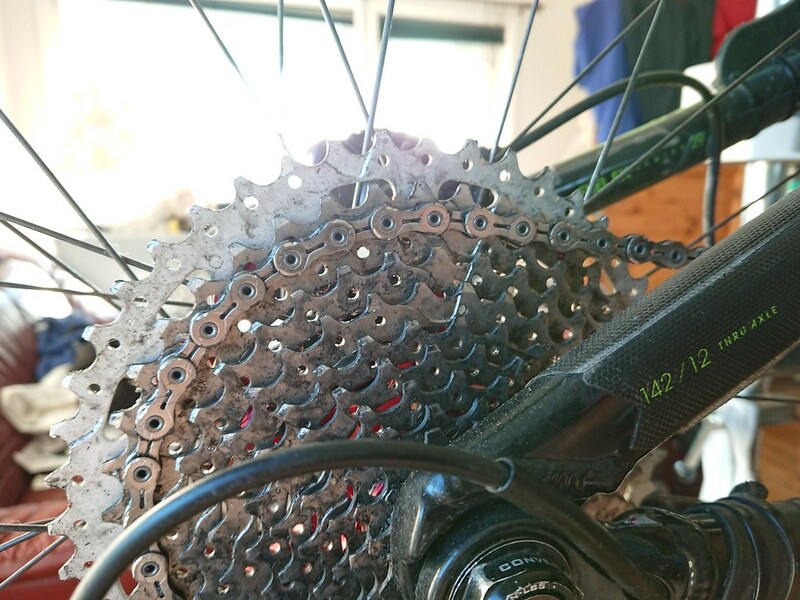 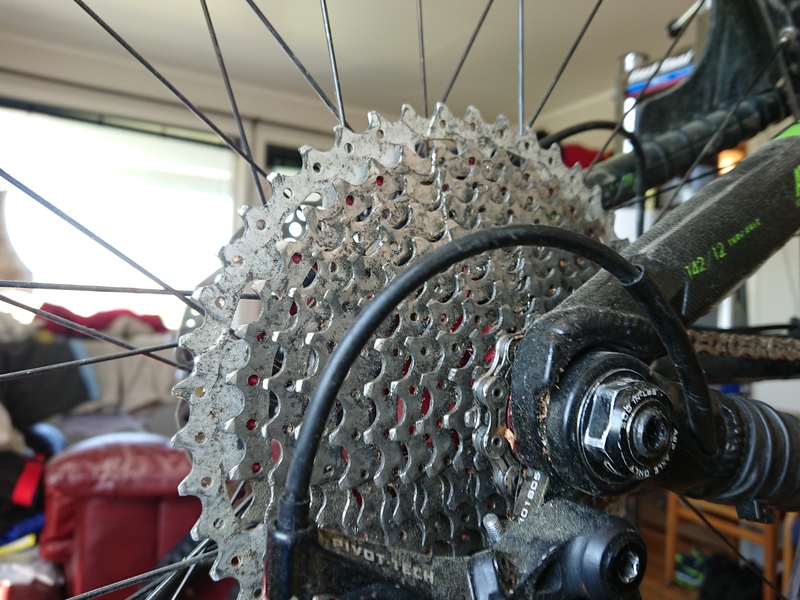 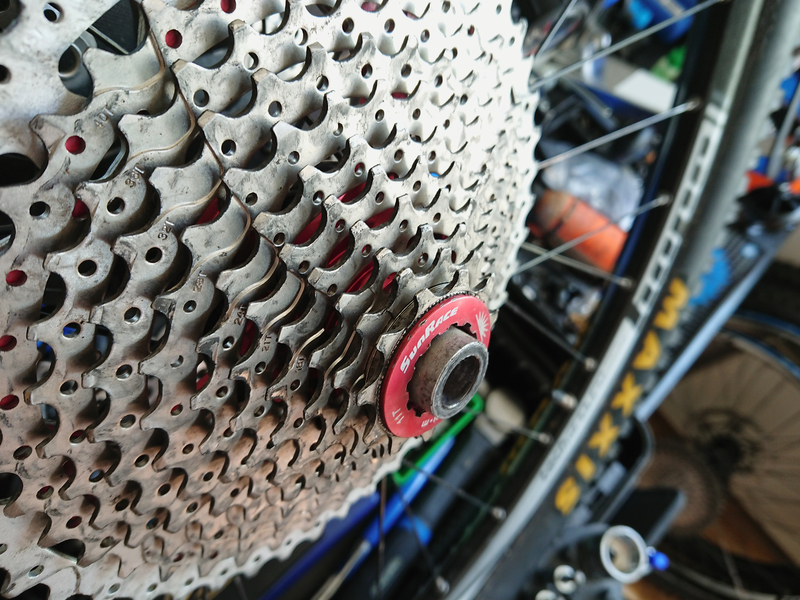 The cassette was so messed up, that the chain dropped to the smallest cog. 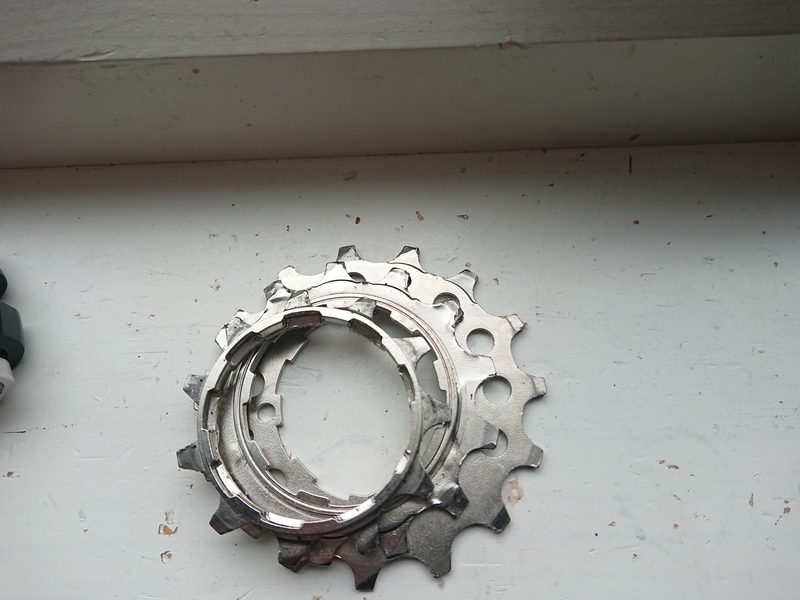 I knew the cassette was going to wear out soon, and it did,the chain dropped to the smallest cog. 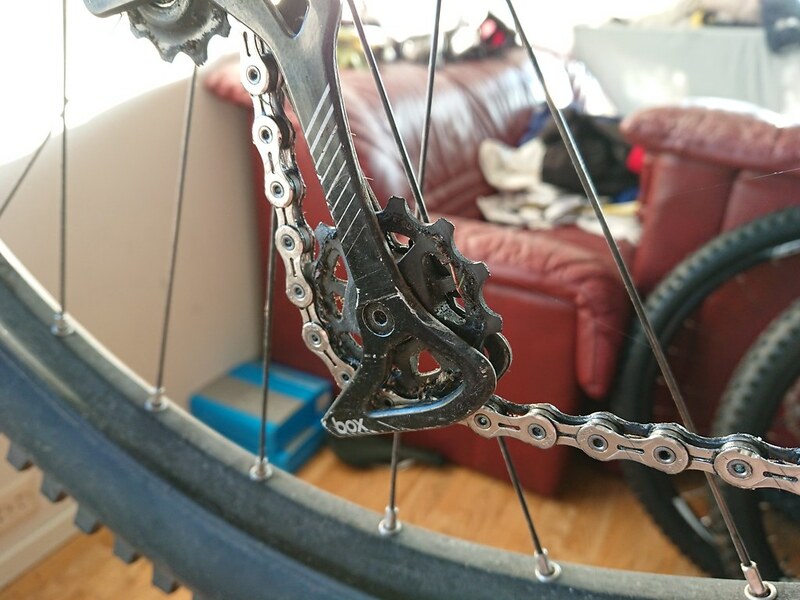 The hanger was bent too. 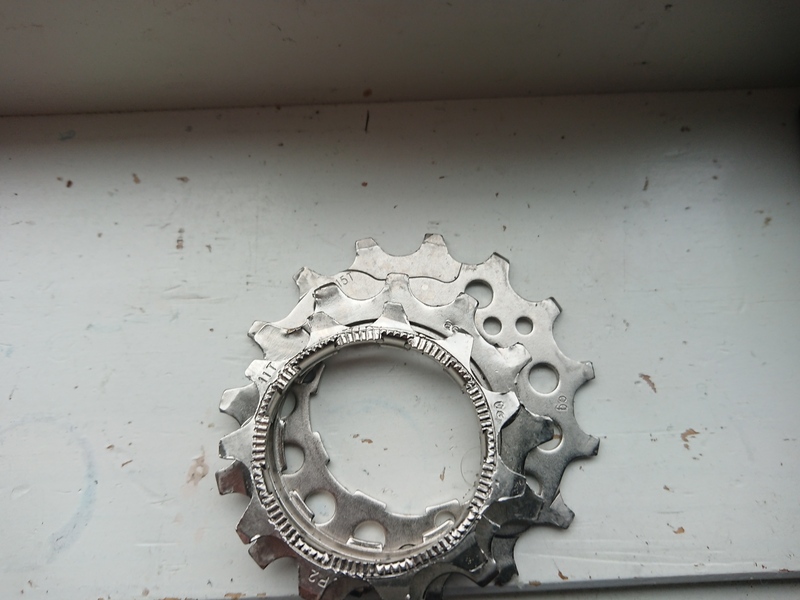 the smaller cogs are have bent teeth & twisted teeth, some of the cogs are bent too. 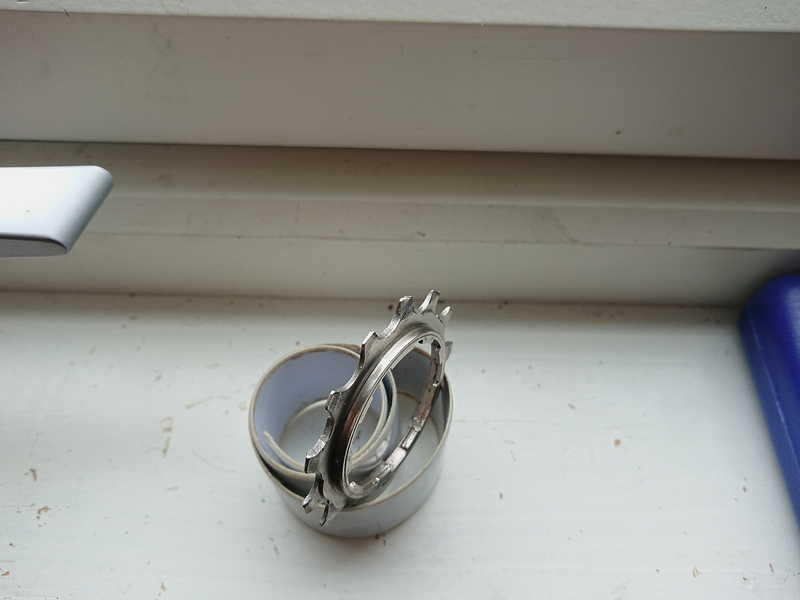 there is no way I can twist the teeth back to be straight with any tool I got. 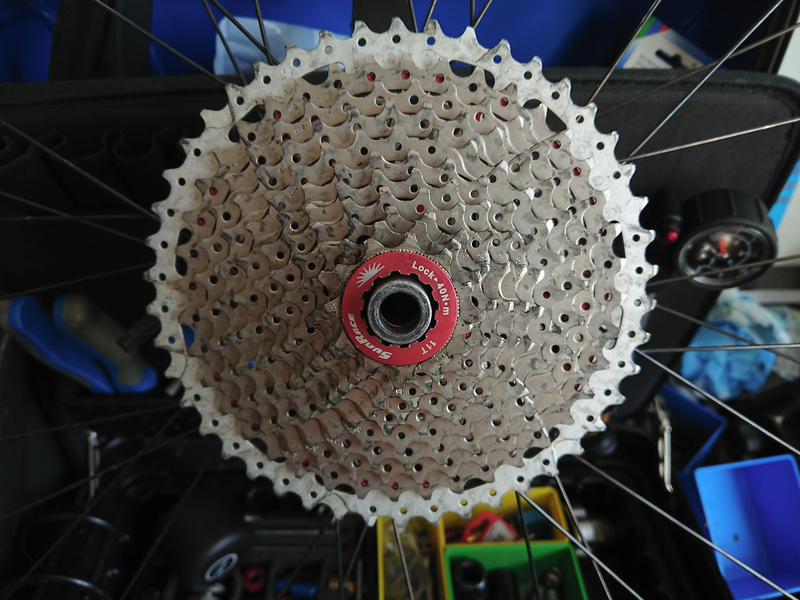 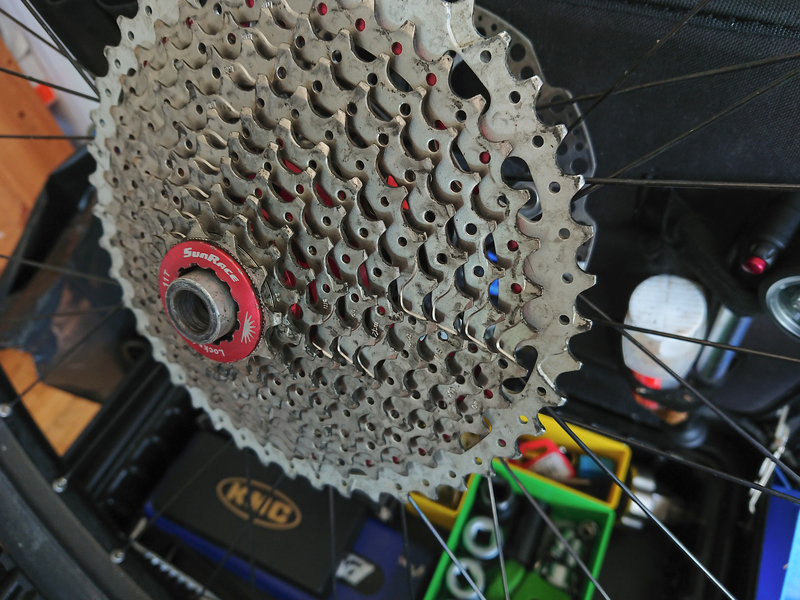 if it was just the cogs a screw driver would probably do the trick, it did before on several XT cassettes. 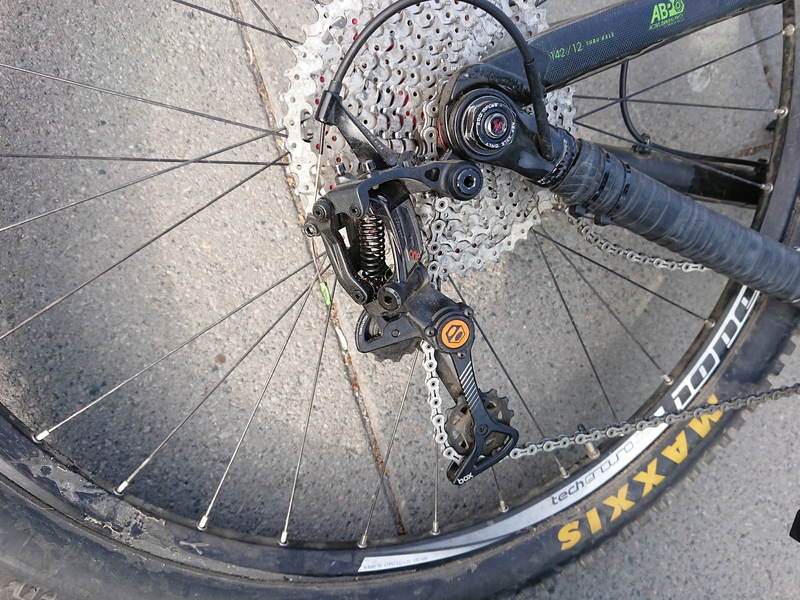 I had to put on Xt cassette I had. 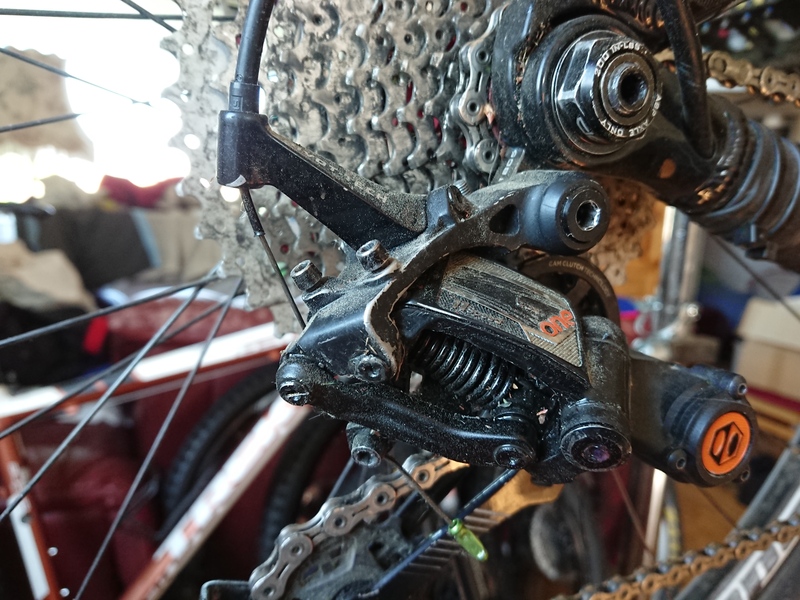 The Sun Race cassette was more resistant to the abuse The Fuel EX frame set put s the drive train trough, but eventually it got abused too much. 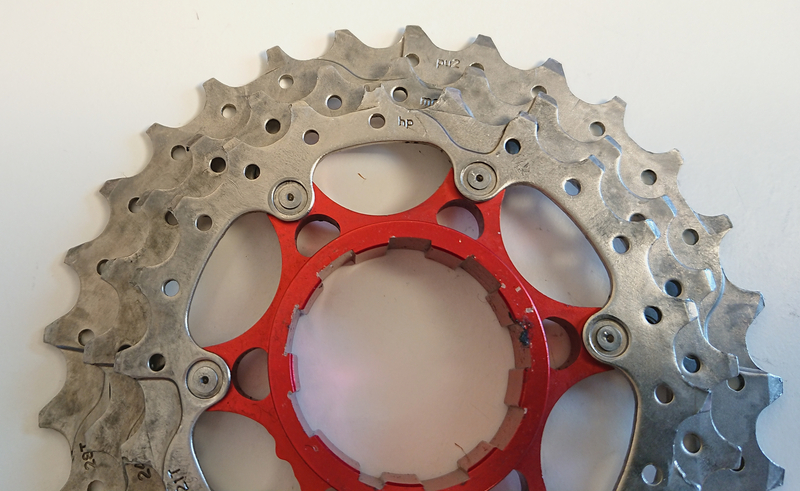 With 11-46T x 34T oval I found I need wider range, so I might try 11-50T Sunrace Cassette or maybe E Thirteen, I will continue the research for a while. 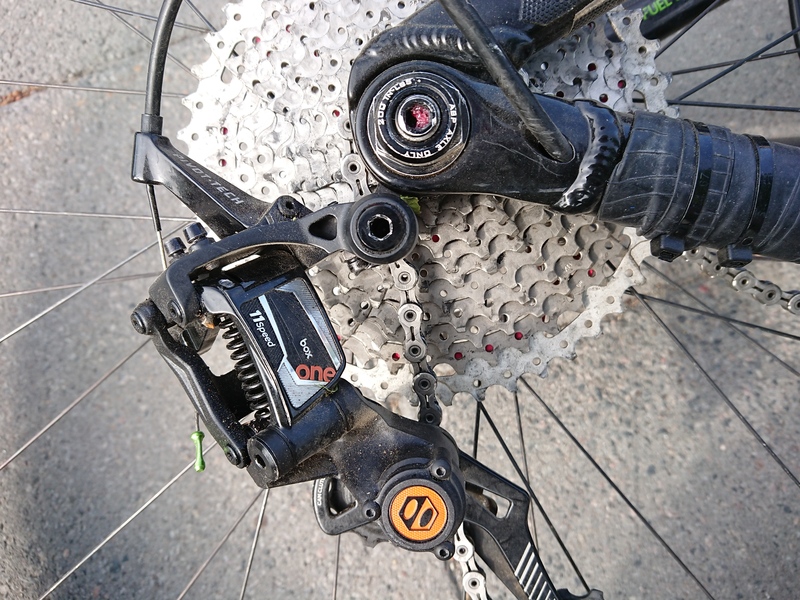 But I won’t get A Shimano cassette as it does not offer the smooth and range and bigger range.